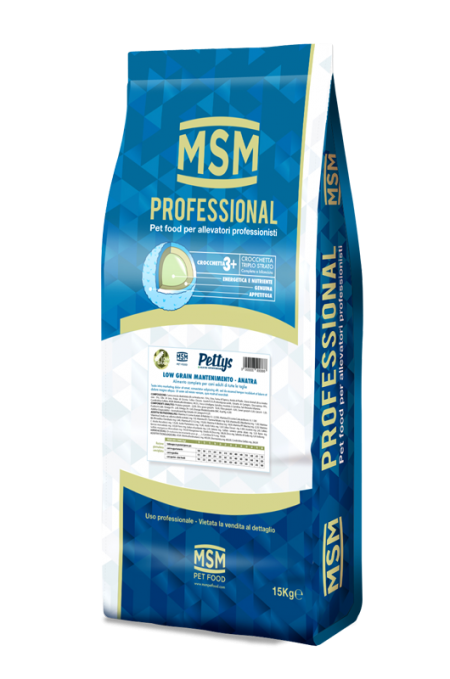 MSM Pet Food presents the MSM Professional line, foods that cater specifically for professional breeders who require made to measure recipes for the wellbeing of their dogs. Cooking times vary for the different raw materials comprising our exclusive “triple layer” kibble. It the centre, a light core of starches, extruded to make them highly digestible. The second layer consists of animal proteins, mineral substances and vitamins cold mixed to keep their nutritional properties and flavour intact, without subjecting the ingredients of animal origin to further cooking to the detriment of their vitamin and protein content. Finally, a tasty, animal fat coating is applied. The result is irresistible, crunchy kibble that provides ENERGY, NUTRITION and FLAVOUR.